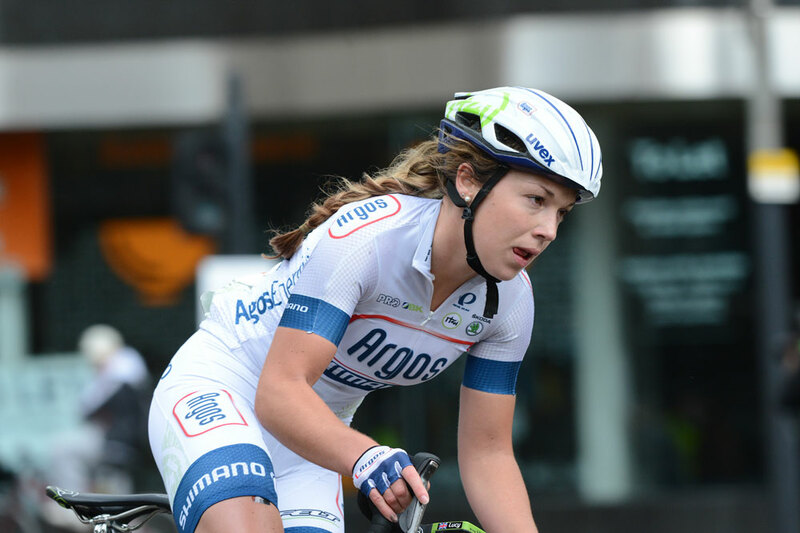 Despite turning professional with Argos-Shimano at the start of the season, Lucy Garner has seemingly changed very little from the rider who won two junior World Championship road race titles in 2011 and 2012. The 18 year old is approaching the end of her first professional season, which saw her relocate from Leicestershire to the small town of Woudenberg, 60 kilometres to the south-east of Amsterdam. Yes, there’s a different hair colour (she went from blonde to brunette at the start of June, she said) but her mild-mannered personality and soft-spoken tone seem remarkably familiar. “I’ve been really happy with how the season has progressed,” Garner says. “It was a big step from junior racing. “On the flatter races, you can sit in and the differences aren’t too big, but when there are hills, that’s when you feel the increase in pace. Being friendly and polite should never be considered a vice, yet at the start of the season, her gentle personality did not help Garner’s adjustment to senior racing. The 18 year old admits as much to Cycling Weekly: “Going in from junior racing, you feel like you’re still a baby. I was nervous at the start of the year, particularly when it came to moving through the bunch, because it’s double [the size of] what I’ve ever ridden before. 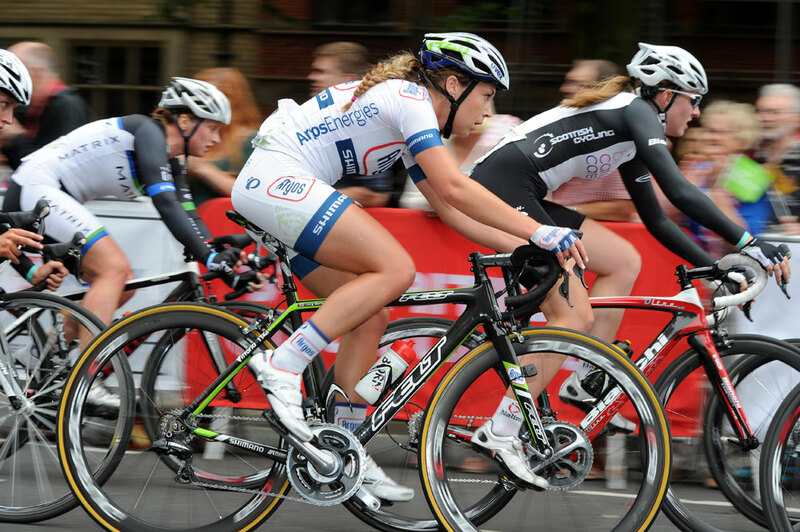 “I remember the sprint at the Drentse 8 [an early-season Dutch one-day race in which she finished eighth]. All the top riders were there, and it really hit me who I was coming up against. [Marianne] Vos is my idol, so to be sprinting with her was quite surreal. “It was really unexpected, honestly. I went in hoping to get a podium, so to win and then get two more top-10 stage finishes was beyond my expectations,” she says as she watches a video of the finish. From the camera angle, it appeared as if she started her sprint early. “I left it quite late, actually. It was a headwind finish, and a lot of riders went early, but I had looked at how the wind was and where it was coming from, and worked out when was best to go. That day, Garner beat Australian Chloe Hosking, a fourth-year professional, with 29-year-old Swedish rider Emma Johansson in fourth. Age clearly knew no bounds, and neither did inexperience: “She’s got a great racing instinct and she is very smart tactically,” says van der Zweep. Garner attributes part of this to Kirsten Wild, her Dutch team-mate and only one of four female riders to have a win count in double figures for 2013. “Kirsten’s a great sprinter, she’s the type of rider I’d like to be, so to have shared rooms with her and to have gone training with her and listened to what she has to say was really beneficial,” says Garner. “She’s a really nice, friendly, down-to-earth woman and she’s really encouraging when it comes to trying to help me improve my sprint. Another positive influence comes in the form of Garner’s boyfriend, double under-23 cyclo-cross world champion Lars van der Haar. “He’s been really good with helping me settle into life in Woudenberg. He knows what it’s like in the cycling world, he knows the sacrifices and how you need to live to be successful and he’s really good to have around,” she says. As is to be expected from any rider’s debut season as a professional, 2013 has not always been the easiest for Garner. “I did start learning and I had lessons,” she says of her attempt to pick up Dutch, “but with my racing calendar, I’ve been all over the place. “I can almost understand conversations now and pick up what people are speaking about, but I don’t dare speak back. From a racing perspective, without hesitation she lists the Tour of Flanders as her toughest day in the saddle. “That was really hard. That was probably the hardest thing I’ve ever done – but at the same time it was really good for me to get to the finish within the time limit and get a position, even if it was last,” she says while laughing slightly at the end of the sentence. “A lot of people said I did well to finish that as a first year [professional]. It was a bit of a shock to the system, I’ve never ridden the climbs before and the cobbles are so tough. But it’s one of those races you want to race, regardless of how tough it is. Garner, who turns 19 later this month, can expect a similarly tough schedule in 2014. “Our main goal at Argos is to make every rider better. Not just physically, but mentally and as a person,” says van der Zweep. “The Route de France [eight-stage race at the start of August] showed that she can recover well from day to day, so the signs are there that she has adjusted to racing at senior level. “Looking ahead to next year, I think our main goal with Lucy is to help her step up a level again. The victory in China showed she can win flat, relatively short races, which we knew from her time racing as a junior. “Now we want to help her win races that are longer and are tougher – those that have one or two climbs in them, for example. 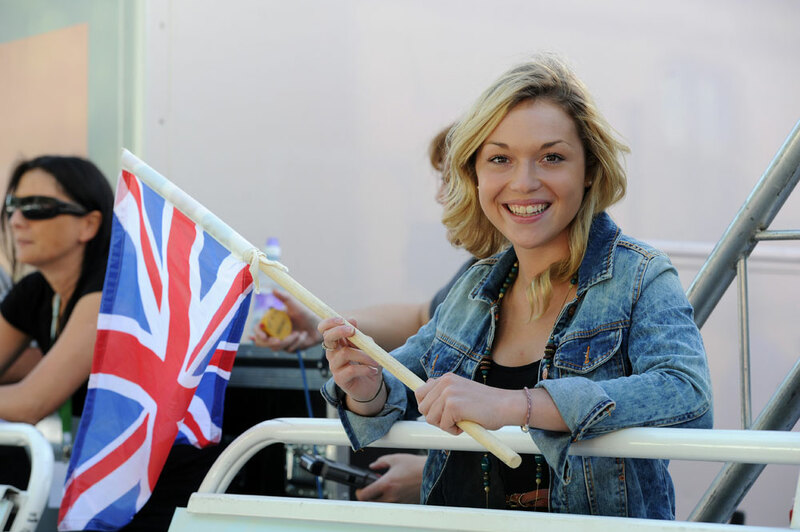 Any eagle-eyed viewer of the short documentary Argos-Shimano made about Lucy Garner (see below) may have noticed a box of Kellogg’s Corn Flakes sitting on top of her fridge. Garner confesses that until this year, she was not adept at cooking, but admits that like Dutch cuisine, she has got used to it now. “Whereas you would have fish and chips in Britain, they have cheese in batter. Then there’s hagelslag – chocolate sprinkles that people put on top of bread. At the heart of Argos-Shimano is their 1t4i (team spirit, inspiration, integrity, improvement and innovation) ethos. However, given the close bond between their men’s and women’s teams, integration could be included as one of the ‘I’s in their philosophy. “We went to Altea a lot to train in the winter, and the men’s team was there at the same time,” Garner says. “There were a few days that we rode with them, and we would always eat with them and interact with them. It is very much one team, and you feel that. “Riders like Marcel Kittel were always friendly and happy to talk to you. I think if you went to some of the men’s teams, you would probably feel intimidated by them. They’re really all friendly, and there were no egos. 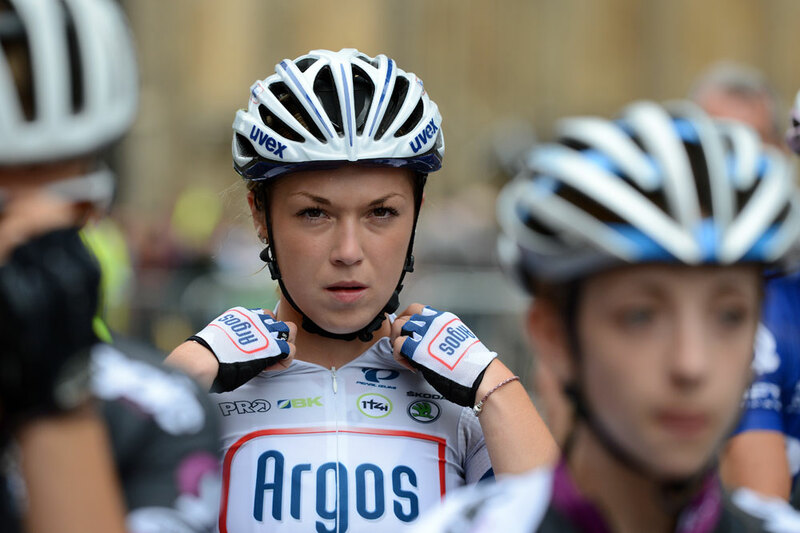 The link between Argos-Shimano’s men’s and women’s teams is likely to be even stronger in 2014, as Garner’s boyfriend Lars van der Haar is rumoured to be joining the team. This article was originally published in the September 5 2013 issue of Cycling Weekly magazine. UK digital edition. And if you like us, rate us!